The classic-looking effects boxes created under the revive Danelectro moniker have been among the most well-received musical products in recent memory. It’s easy to understand why: Danelectro has reproduced popular vintage tones in four reasonably priced and good-sounding pedals. Featuring quality construction and killer design, these units were made to look as good as they sound. First up is the Dan-Echo, a digital pedal fashioned after vintage tube-driven tape-echo units. 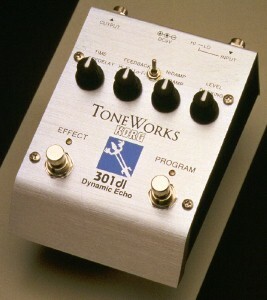 The Dan-Echo achieves its low-resolution tone via a hi-cut control that muddies the upper frequencies with each subsequent echo repeat. The result is a sound that’s a warm and organic. Other controls include mix, repeat and speed, as well as a hi/low toggle that lets you quickly switch between short and long (up to one second) delay times. For my money, the Cool Cat delivers the thickest-sounding vintage chorus and rotary effects available—which is why one of these boxes has a permanent place on my pedalboard. The unit’s speed knob has a wide sweep that allows everything from slow, lush choruses to heavenly rotating speakers. The “chill” control lets you adjust the depth from subtle to dripping thick, while the pedal’s dual outputs allow stereo operation for greater dynamics and realism. If you want aggressive tone at lower volumes, check out the Daddy-O, an overdrive pedal that emulates classic tube-amp distortion. In addition to volume and overdrive level controls, the pedal allows individual attenuation of bass, middle and treble, providing an unusually high degree of tone shaping. Using the Daddy-O, I was able to create a variety of vintage overdrives, including British, Texas blues and “mega gainy” tones. Throughout its range of sounds, the Daddy-O delivered smooth and dense distortion worthy of a tube-power stack. The Fab Tone is Danelectro’s entry into Fuzz land. 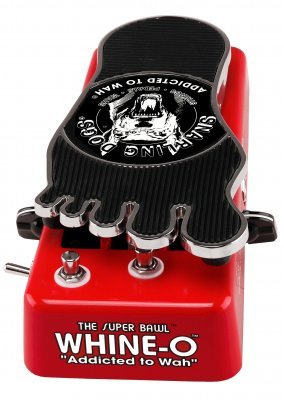 Featuring controls for volume, bass, treble and “fab” (the distortion level adjustment), this little stomp box produce unexpected pureness in a mean, distorted tone. Played through the tiniest of amps (namely, my 1962 four-watt Vox AC4 combo), the Fab-Tone delivered sustain times of 10 seconds or longer and produced a biting harmonic feedback one octave above the sustained note—and all at extremely low volume levels. 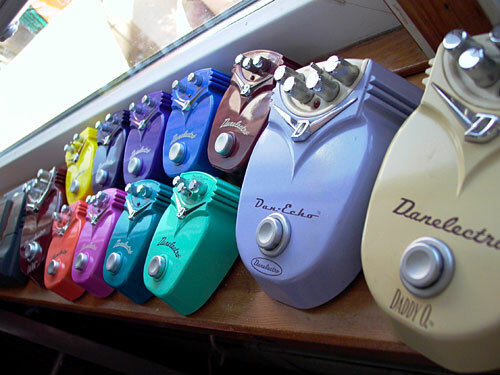 In addition to these four effects, Danelectro offers the Dan-O-Matic, a back-lit chromatic tuner. Housed in Danny’s signature rugged metal casing, the Dan-O-Matic offers audible or silent operation, and the lighted display makes tuning on a dark stage a lot easier, too. All Danelectro pedals feature silent “clickless” footswitch and a red LED that indicates when the pedal is engaged (not included on the Dan-O-Matic). For fuel, the units can be powered by a 9-volt AC adapter; The Cool Cat runs on two 9-volt batteries or a 18-volt AC adapter. Danelectro has done a top-notch job of capturing the magic of the best vintage effects. 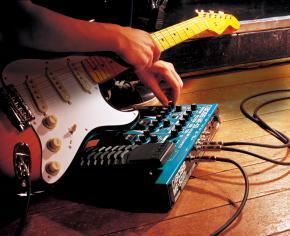 These pedals have great sounds, great looks and great quality—all at affordable prices. 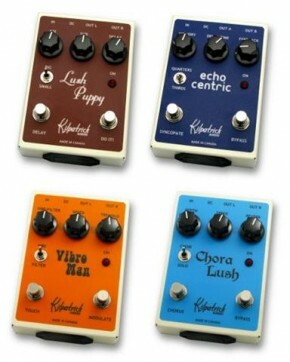 Gear-Vault Classifieds is an eBay alternative. Come sell your used music gear with us for free!